How deep is your love? 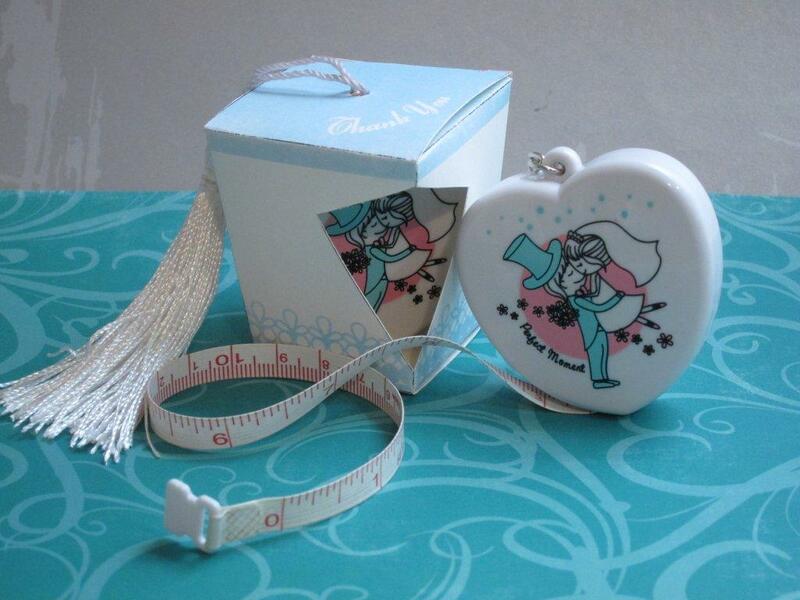 These cheeky personalized tape measure favors let you show that your love is immeasurable! These practical wedding favors also make fun bridal shower favors. Price includes gift box and tassel decoration as shown.